By May 2018, you won’t see a car on the road under 10,000 pounds that is not equipped with a rear visibility camera. The National Highway Traffic Safety Administration (NHTSA) recently issued this brand new regulation to protect pedestrians from getting hit by oblivious drivers backing up. 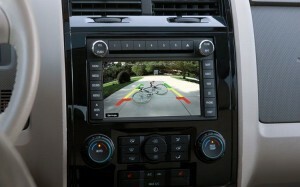 While Ford, Honda, and Toyota have been well ahead of the curve with most of their new vehicles already featuring back-up cameras, all cars, buses, and trucks will have to join the party for the 2019 model year. The NHTSA is hopeful that their new rule will diminish the 15,000 injuries and 210 deaths per year caused by simply backing up.